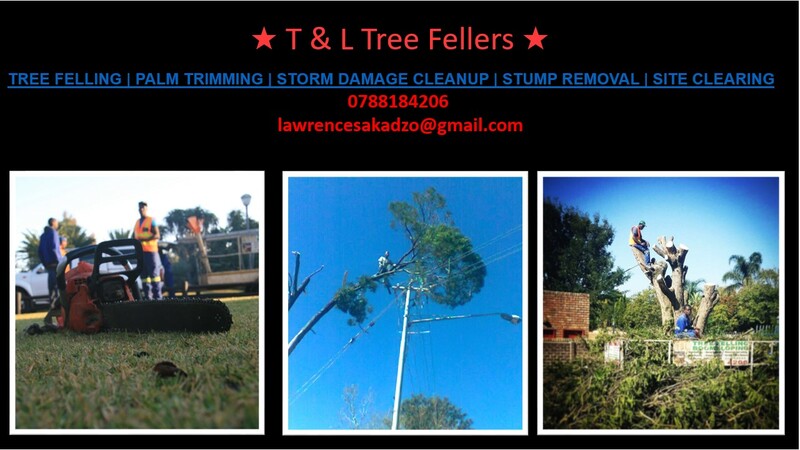 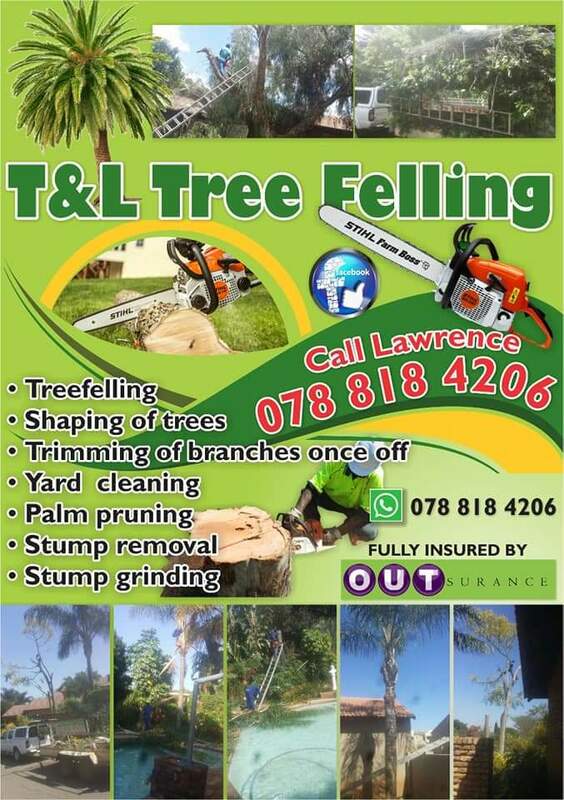 T &L TREE FELLING offers quality Tree felling Services. 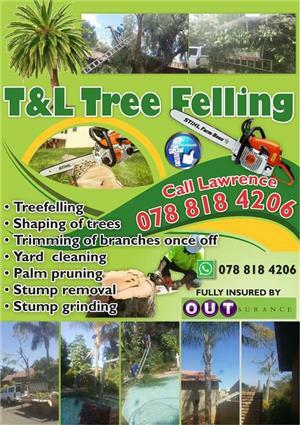 We mainly cater for clients in the Pretoria, Centurion and Midrand Areas. 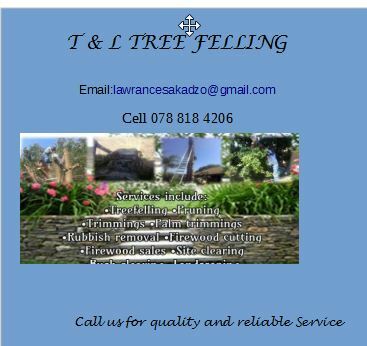 References available for previous jobs done.